Before electronic calculators became affordable in the 1970s, logarithm tables and slide rules were the most common calculation tools used by scientists, engineers, financiers, and navigators. 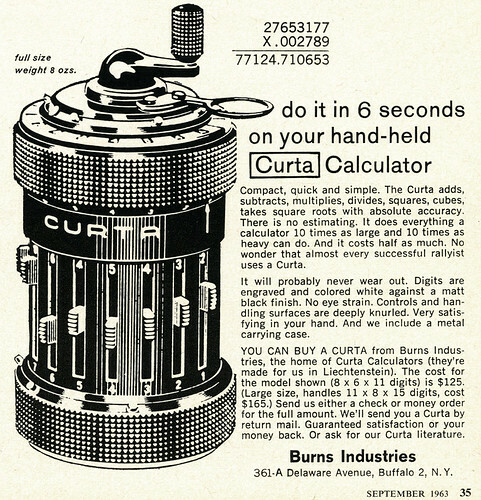 But in the early 1940s there emerged a purely mechanical, pocket-sized calculator, the Curta; the “pepper mill,” as it was known, was short-lived – only 30 years or so – but it remains a mechanical marvel. As we add it up, we might send intricately-interconnected birthday greetings to Mark D. Weiser; he was born on this date in 1952. After earning an MA and a PhD in computing at the University of Michigan, Mark worked for a variety of computer-related startups. 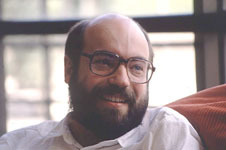 But in 1987 he joined Xerox PARC, and began the work for which he is best remembered: he widely considered to be the father of ubiquitous computing, a term he coined in 1988 to describe the field he pioneered. Mark was also the drummer of Severe Tire Damage, a garage (pun intended) rock band, the first band to perform on the internet: on June 24, 1993, the band was playing a gig at PARC while elsewhere in the building, scientists were discussing new technology (the MBone) for broadcasting on the Internet using multicasting. As proof of their technology, the band was broadcast and could be seen live in Australia (by a scientist there alerted by the Palo Alto crew) and elsewhere.